The best pitmasters know how to control temperature with air and wood and then monitor their fires to maintain a consistent cook. 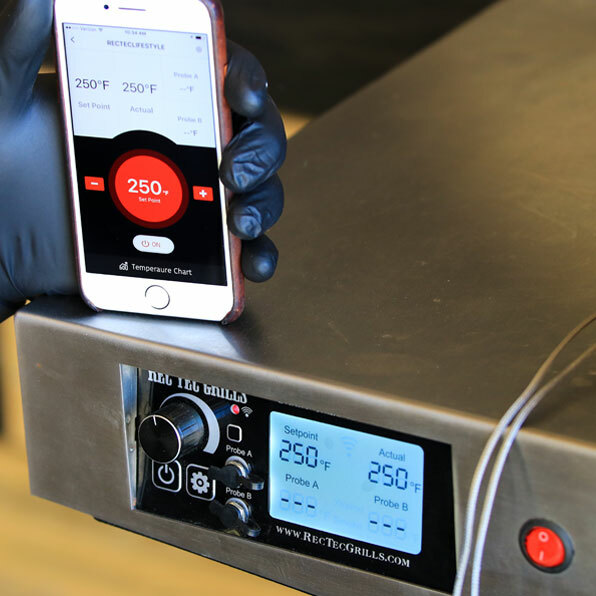 Now, with a REC TEC, instead of having to mess around with sticks of wood, lumps of charcoal, vents to open and close, distance of fire from food, and countless other annoyances, you can simply set a temperature and you’re ready to cook. It’s similar how you control the oven in your kitchen, only instead of tasteless hot air or gas flames, you’re cooking with flavorful wood smoke… Like a true pitmaster. With the push of a button, your REC TEC is ready to roll. 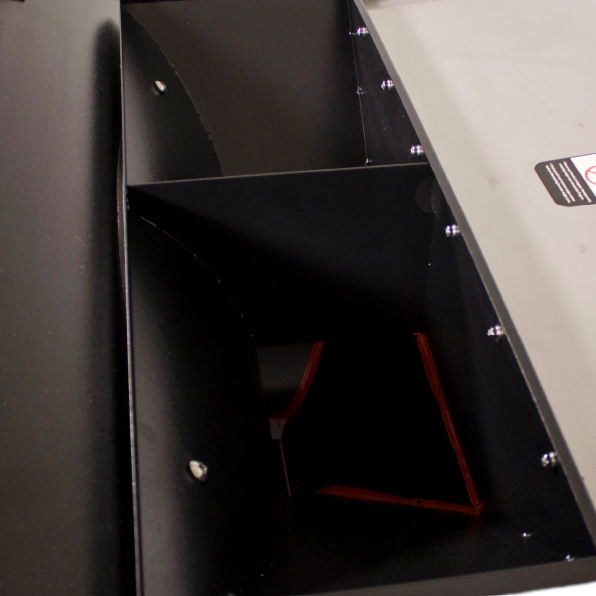 Within a few minutes, the smell of smoke wafts from the smoke stack, the pellets light, your REC TEC roars to life, and the temperature starts to climb toward the temperature you selected. At REC TEC we build one of the most beautiful grills on the market. All of our critical parts are 304 stainless steel, even the ones on the inside that you rarely see. The REC TEC Bull's 40-pound hopper, combined with its economical burn rate, eliminates any concern that you’ll run out of pellets during a long cook. Life is too short to have to worry about running out of fuel! We run our company with ease of ownership in mind. We are proud of our industry-famous customer service and your ultimate happiness is our true core mission. At REC TEC, we endeavor to provide you with high quality products at reasonable prices. However, as we all know, things do happen occasionally and when they do, we are here to make it right. The true test of any company is how they react when things don’t go as planned. Our pledge is to treat you with the respect that you deserve as a member of the REC TEC Family, and to make things right. If you are not fully satisfied with your REC TEC, just return the grill within 30 days and we will refund your purchase price. We are that sure you will love your new REC TEC Grill.